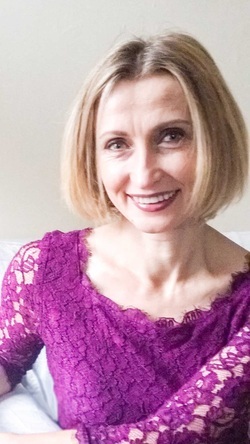 Nataliya is an accredited CBT and EMDR therapist with extensive experience in Talking Therapy Services within primary and secondary clinical settings. She graduated from London South Bank University with a BSc in Psychology, and subsequently completed an MSc in Cognitive Behavioural Therapy at London Metropolitan University. Nataliya is a very warm, engaging and positive professional who has combined both extensive educational research and clinical experience. She primarily specialises in working with adults, but also has experience with working with adolescents and adult inpatients at the Priory Roehampton. Aside from her private practice she runs NHS clinics for three days a week as a high intensity CBT therapist and supervisor for Merton IAPT. Using a collaborative relationship she assists her clients to enhance their understanding and knowledge about how their problems have developed, and what factors contribute to their maintenance. She also helps clients to improve their emotion toleration repertoire, and to develop cognitive flexibility in terms of thinking and behaving in order to alleviate their symptoms, and decrease the likelihood of developing problems in the future. emotional dysregulation, childhood trauma and unhealthy behavioural patterns. She is also particularly interested in helping people with emotional dysregulation and low distress tolerance and people with Antenatal and Postnatal worries and difficulties. Her holistic approach has enabled her to achieve consistently outstanding discharge rates.